 Equipment Tax Break - ONRAD, Inc.
Advance for Imaging and Radiology Oncology | November 29 – You need a new scanner to generate more income for your practice. Or maybe you’d just like to upgrade to a snazzier model. But you’ve crunched the numbers and held off, preferring instead to hold on to your cash during economically uncertain times. If that describes you, the federal government is dangling a delicious carrot you may want to crunch on. To invigorate commerce and accelerate America’s as-yet underwhelming economic recovery, Congress has taken a rather modest, small business-related tax break dating to the 1950s and puffed it up Texas-size into a bona fide tax bonanza. The winners are small business owners eager to expand but timid about striving upward in a down economy. Class, turn to Section 179 of the U.S. Tax Code.